Classic traditional styling creates an elegant addition to your home in the Lucida Collection. Bead molding, shell motif, and a round mirror in traditional framing provide classic accent to the bedroom group. The twin and full bed options provide a flexible option to fit your space. The collection is offered in white finish. 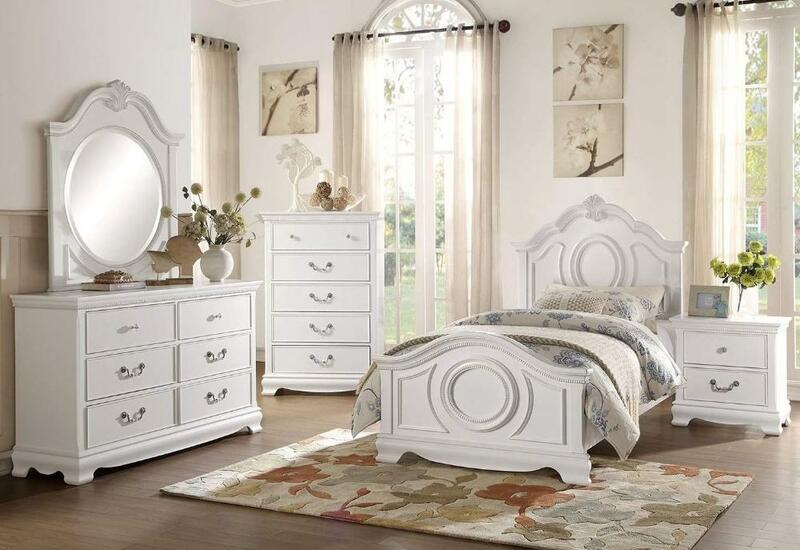 FEATURES: White Finish ~ Classic / Traditional Style ~ Bead Molding / Shell Motif Accents ~ Metal Hardware ~ Dovetailed Drawers ~ Ball Bearing Side Glide.